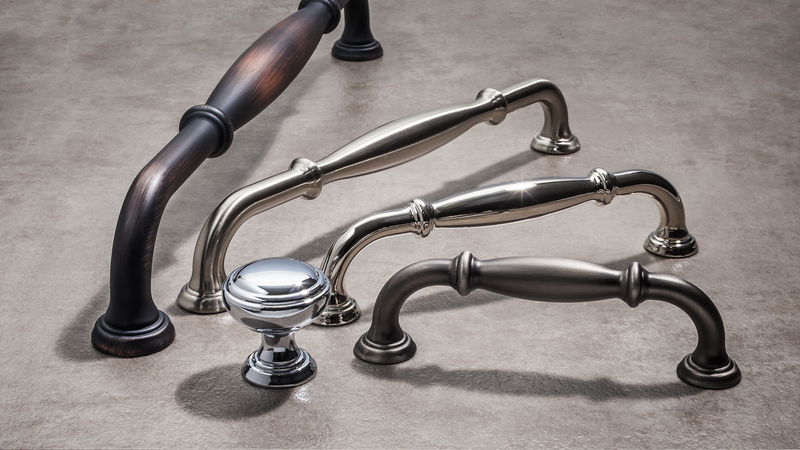 Hardware Resources has added the Tiffany Collection to the Jeffrey Alexander line of decorative hardware. The Tiffany Collection combines an elegant classic look with hints of transitional design features and includes matching step details featured throughout the hardware design, accompanied by the smooth geometric shape in the middle portion of the pulls. The collection includes one knob, five pull sizes and one appliance pull – available in five popular finishes: brushed pewter, brushed oil rubbed bronze, polished nickel, polished chrome, and satin nickel.